Results from a two-year survey in the transboundary Virunga Massif, one of the two remaining habitats of the mountain gorilla, show numbers of the critically endangered species are on the rise. Released last week, the latest estimates from the Virunga Massif put mountain gorilla numbers at 604 from an estimated 480 in 2010, including 41 social groups, along with 14 solitary males in the transboundary area. This brings the global minimum count for the species to an approximate1,004 individuals when combined with comparable figures from Bwindi Impenetrable National Park, where the rest of the sub-species is found. 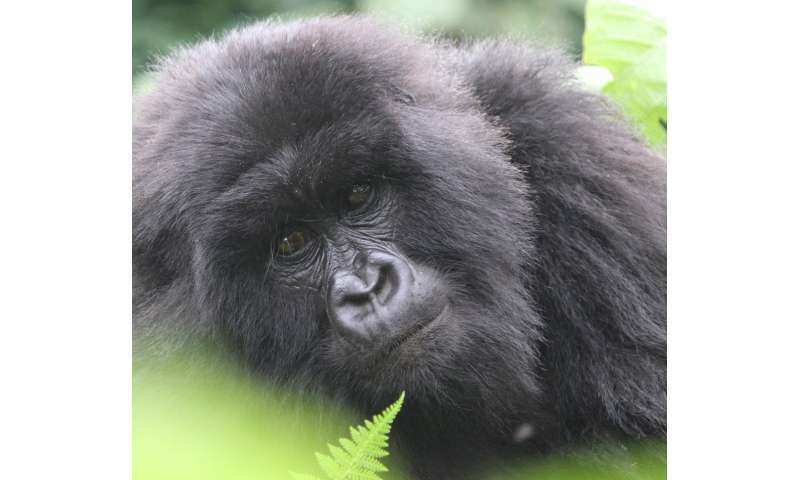 Conducted over 2015 and 2016 by the Protected Areas Authorities in the Democratic Republic of Congo, Rwanda and Uganda, the survey results are an encouraging sign for conservation efforts with the mountain gorilla being the only great ape in the world considered to be increasing in population. "This is fabulous news for mountain gorillas and shows what we can do for wildlife when NGOs, governments and their communities work together. However, the high number of snares encountered and the numerous other threats they face including climate change indicate that the battle is far from won. The three gorilla range countries and their partners must continue to work together to safeguard the Virunga Massif—not only for the protection of these incredible creatures but also for the welfare of the local people with whom they share the landscape. The mountain gorilla story can be a model for how to restore and maintain our earth's precious biodiversity." During the surveys, the teams found and destroyed more than 380 snares, which were set for antelope but can also kill or harm gorillas. One of the snares discovered by the teams contained a dead mountain gorilla. Other threats looming on the horizon include climate change, infrastructure development and disease, which has the potential to devastate the remaining populations.